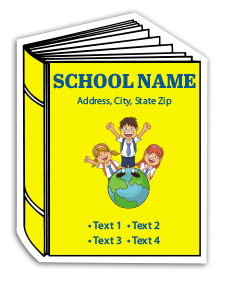 A 3.13x2.38 book shaped full-color magnet can be utilized by schools and universities to promote their brand or to express some important information. This magnet makes a good indoor promotion tool and can be suitably customized against the payment of $0.14. 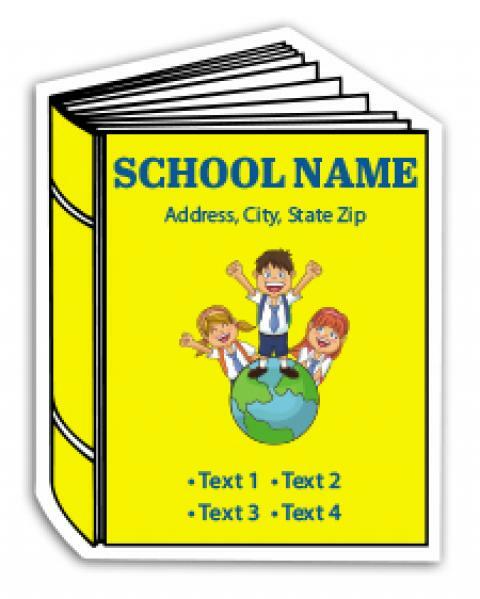 This magnet can be sought at discount prices when purchased in bulk. This magnet will be well-received by parents and students due to their affiliation with the book. Product Size : 3.13 in. x 2.38 in.